Kids playing in kayaks and on Stand up Paddle Boards (SUPs) learn really fast, and have a blast doing it. 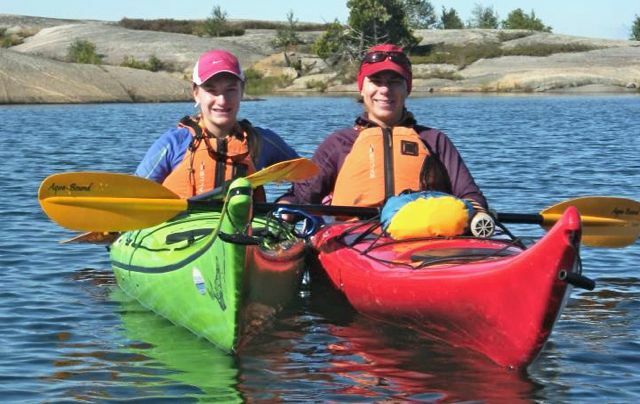 You can come week after week because each week is a little different – total fun in kayaks that rock! You bring picnic lunch and we’ll do the rest. Get the family outside and have fun on the water. Learn basic paddling skills at your own pace. Some of the things you and your family will learn include – gettin’ in & out, how to manouver your boat or board & stay afloat and what to do if you tip over. The nice thing about the Family Fun Clinic is that there’s no pressure – your instructors are there to make it a fun and safe environment that everybody can learn in. We’ve designed this family daytrip to give your family a safe adventure out in the protected island waters and channels near our Centre. 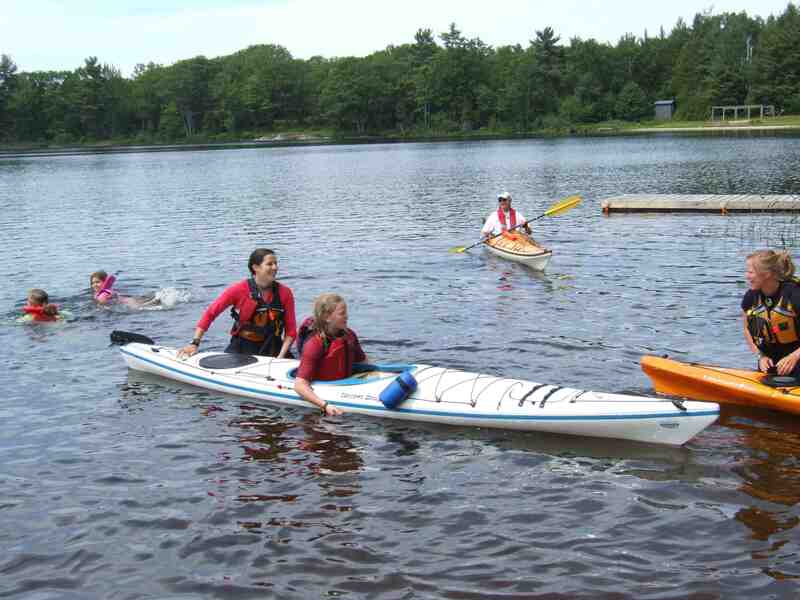 To do that, we’ll gather first at our Paddling Centre on Cole Lake for introductions and orientation to the kayaks. We’ll make sure everyone is in a boat that fits them properly, and in some cases we’ll put the younger ones with an adult in a tandem (double). We’ll cover basic strokes and safety including asking everyone to do a wet exit – which is really quite fun and simple to do. Once we get off the water, dried off, snacked, and loaded up – we’ll drive to our put in & head out to the islands for the rest of the day. Bring your own picnic lunch for your family, and we’ll make sure there’s time for swimming in the crystal clear island waters. We want the children to have a good time, so the emphasis will be on going at their pace. White Squall has provided a wide range of training programs for staff and students of schools, camps, colleges and universities across Ontario for 30 years. We keep the cost of this and our own youth trips/lessons as low as we can to get young people outside in the fresh air!! Please get in touch and we can help you with your plans and ideas. Learn more on our School Programs.